No one becomes a physician because they enjoy administration. That’s why we created SonoSite Synchronicity™ workflow manager for point-of-care ultrasound, support seamlessing credentialing, quality assurance, and billing. SonoSite Synchronicity workflow manager compiles data from all connected point-of-care ultrasound (POCUS) systems into a central location. 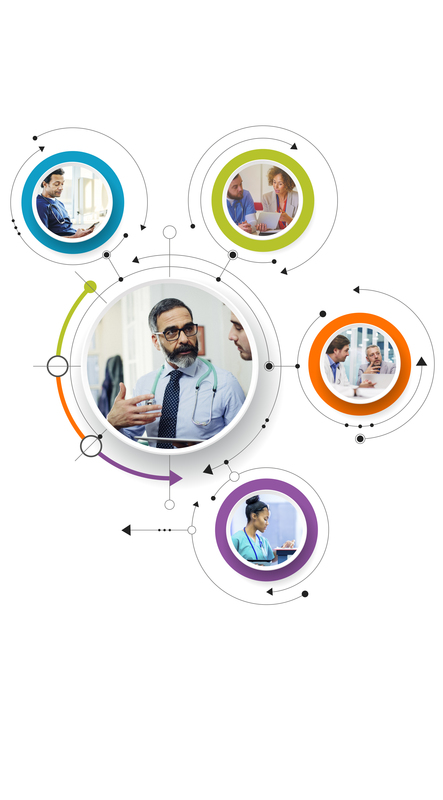 From your personal dashboard, access patient exams to complete exam worksheets and submit for QA, credentialing, or billing. The SonoSite Synchronicity solution is scalable, from a single clinic to a whole hospital network, to meet your requirements for standardization, consistency, and compliance. SonoSite Synchronicity software is designed to be easy to use, so adoption time is short. The built-in simple DICOM viewer has familiar workflow tools that can be used on a computer, tablet, or mobile device to accomplish tasks anywhere, anytime. Reduce steps to complete exams for less time spent on administrative tasks. SonoSite Synchronicity workflow manager provides the ability to create consistent clinical documentation to minimize billing errors, enforce compliance, and make point-of-care ultrasound reporting faster and easier. Configuring the built-in, billing-centric worksheets to meet your department processes drives workflow and reporting standardization. The SonoSite Synchronicity workflow manager dashboard provides a snapshot view of target progress, exams that need attention, and alerts & notifications. SonoSite Synchronicity workflow manager gives you control over your point-of-care ultrasound credentialing programs and training groups. Run multiple programs simultaneously, and get up-to-date progress reports to monitor student development. Designing your own credentialing programs helps meet national and local standards and requirements. Healthcare coding is increasingly complex, impacting compliance and increasing the possibility for clerical errors that affect revenue. Maximize financial return by simplifying the point-of-care ultrasound billing process with SonoSite Synchronicity standardized worksheets, designed with ACEP guidelines in mind. Complete the worksheet templates as-is, or configure them to your needs. SonoSite Synchronicity workflow manager also includes a worksheet builder, allowing you to design your own fully-customized worksheets from the ground-up. Three maintenance plan options ensure your success and productivity, particularly during the early stages of implementation. SonoSite Synchronicity solution purchases require our Silver Maintenance Plan. or upgrade to a Gold or Platinum plan. All our maintenance plans provide unlimited telephone inquiries, quality improvement updates and more — all from our in-house technical support team. Find out more about SonoSite Synchronicity workflow manager. Connect with a SonoSite Synchronicity expert today. Our team of dedicated Implementation Consultants will be with you every step of the way. By understanding your unique needs from the beginning, we support you to help ensure a smooth and successful implementation. After you talk with one of our sales representatives to determine if the SonoSite Synchronicity solution is right for your facility, you’ll be assigned a dedicated consultant to take you from project scope to go-live. Together, you’ll plan a deployment that meets your organization’s needs. After deployment, should you have questions, you can reach our support experts by phone Monday-Friday, 5am-5pm PST. Outside these hours, you can email us or fill out the SonoSite technical support form. Our support team will contact you the next business day. You can also find frequently asked questions (FAQ) and troubleshooting support on SonoSite.com in the Support section. Find out more about SonoSite Synchronicity workflow manager. Connect with a SonoSite expert today. We recognize that unless our products meet the highest standards for security, they’re of no use in a complex medical environment. We work hard to build products and services you can trust and deploy with confidence. SonoSite Synchronicity software was developed according to NIST guidelines for securing and protecting patient data. Included with each SonoSite product purchase is exclusive access to SonoSite Institute, our web-based education portal. Take advantage of point-of-care ultrasound tools and resources that can help you become a more efficient point-of-care ultrasound provider. SonoSite Synchronicity maintenance plans provide access to our technical support resources. Find the plan that’s right for you.